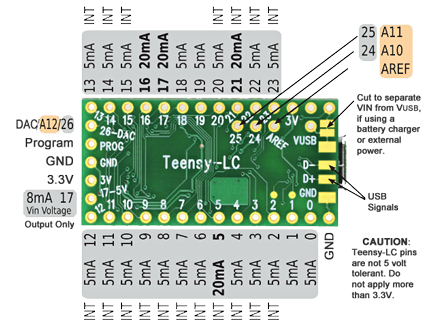 Teensy-LC (Low Cost) is a powerful 32 bit microcontroller board, with a rich set of hardware peripherals. 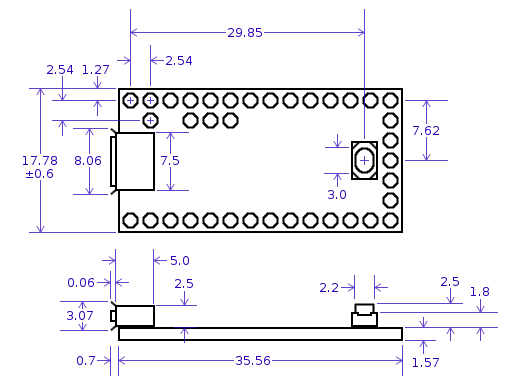 Teensy-LC delivers an impressive collection of capabilities to make modern electronic projects simpler. 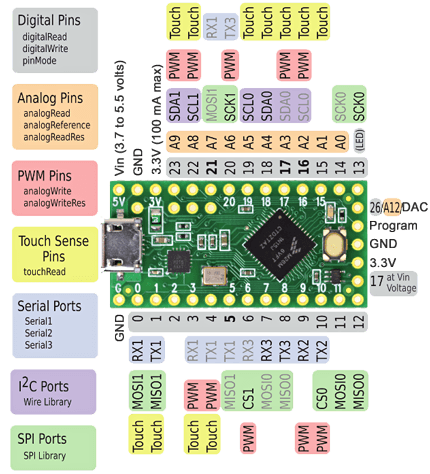 It features an ARM Cortex-M0+ processor at 48 MHz, 62K Flash, 8K RAM, 12 bit analog input & output, hardware Serial, SPI & I2C, USB, and a total of 27 I/O pins. All USB data transfer is done directly to memory with minimal CPU overhead. These things are fabulous. Great code support and examples. Easy development board to get started on. My only grip is the location of analog pins 24 and 25. The pjrc website is full of useful information on getting started with this product. One note, which can't be stressed enough: if you are using Linux do not forget to move the 49-teensy.rules file to the rules.d folder. If you do not do this step the OS will never create the USB device to communicate with the board. Integration with the Arduino software is smooth, but again in Linux, do not delete the Arduino installation folder before you install the Teensyduino application, it is dependent on a file located there for version information. No question that Erin and Craig are the best in the business at trying to help the customer get what they need. Need something not on the catalog, ask for it. Need something slightly customized. Just ask. Did you know they test all their stuff before you even see it? Does your ebay vendor do that?